Finance House | The US Shopping fever is here! 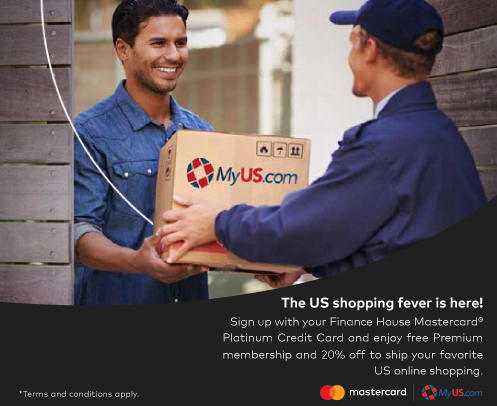 Sign up with your Finance House Mastercard Platinum Credit Card and get a MyUS shipping address. Receive your goods FAST – Create a ship request and get your goods in 2-4 days! The offer is valid for first-time users only.